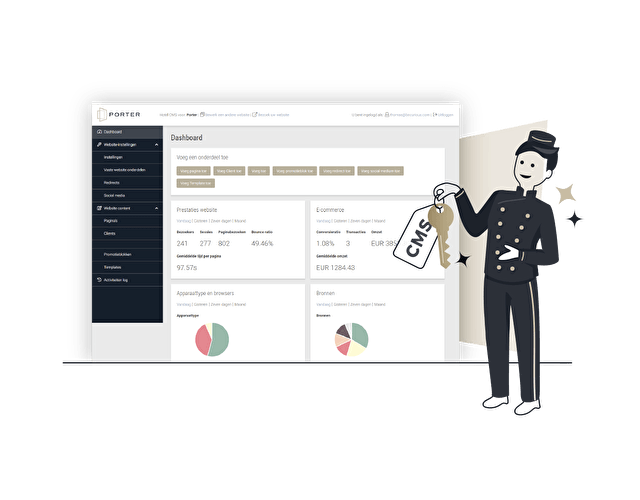 Our fast and secured platform, Hotel Content Management System, seamless integration of Booking Engine Technology and specific knowledge within the hotel industry, makes us the partner of choice for smart hoteliers. Below you will find an overview of the factors that help to drive success. 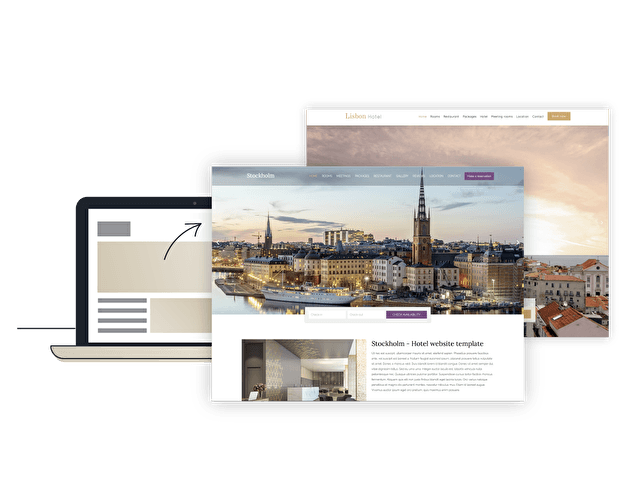 As natural born specialists in hotel website design, we offer multiple high-end templates to choose from. Our well-designed and easy-to-navigate templates always have large images to fully display the atmosphere and unique characteristics of your hotel. The clear call-to-action stimulates visitors to check availability, pricing and press ‘Book’. As a Porter client, you will have access to our user-friendly Hotel Content Management Platform. With this system, you can manage the entire multilingual content of your website in a simple and easy manner. Are you changing texts, adding packages or replacing photos? You are able to do all of this yourself. Plus, you will find an overview of your website’s performance directly on the CMS dashboard. This way, you’re in control! We integrate the Internet Booking Engine of choice in an optimal way. 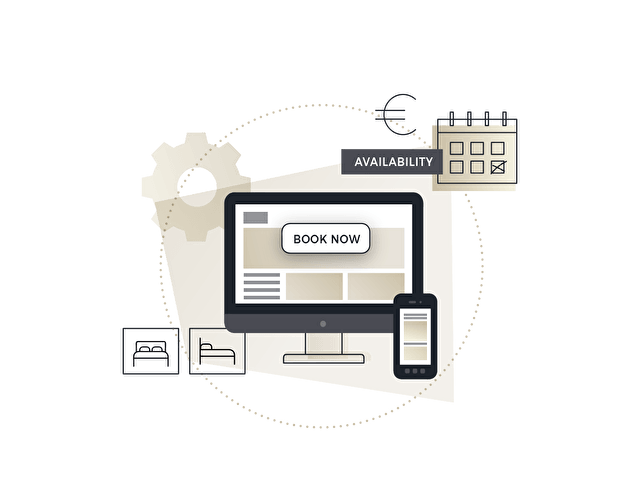 We work with most providers of online booking engines and have the expertise to create a seamless connectivity between the website and booking engine. Booking a room in your hotel becomes simple and attractive. We optimise your website so that the search engines index it properly. 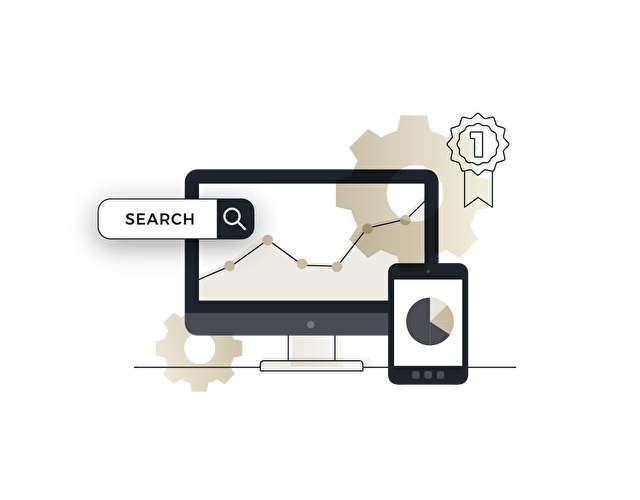 Through the use of SEO, it is possible to configure functions such as entering and processing page titles and meta tags per page, XML sitemaps and so on. These settings, in combination with Google’s strict guidelines and the optimised HTML/CSS that we use, ensure that indexation is done properly and quickly. This leads to a more effective visibility, increased visitors and direct bookings as a result. In order to gain maximum return on investment, we offer various online marketing services to reach your target audiences in an effective way. 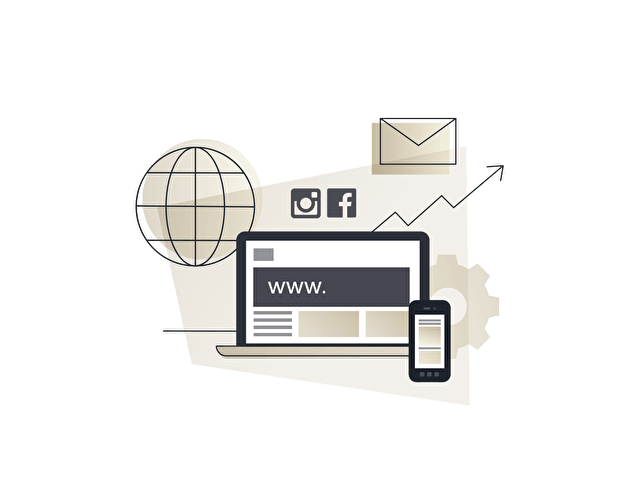 Our range of solutions, from Search Engine Advertising, E-mail marketing, Social Media (Facebook / Instagram) advertising and Conversion Optimisation, are all aligned with your web presence in order to have a maximum effect. 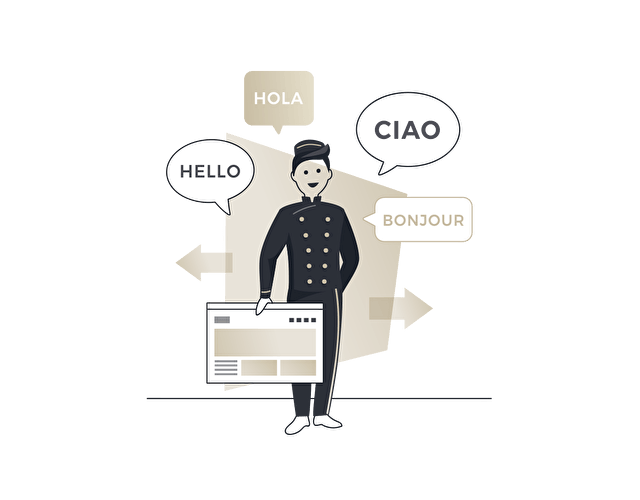 To communicate with potential guests in their own language, we recommend offering your website in the languages of your main target groups. Our Content Management System is developed with the maintenance of multilingual websites in mind. Porter offers (optional) services for the translation of every language combination. Whether your hotel website is accessed on a smartphone, tablet, laptop or desktop computer, it should always work in optima forma. By implementing and extensive testing on multiple devices, operating systems and browsers, we can assure that your hotel always looks on its best, where ever, whenever. 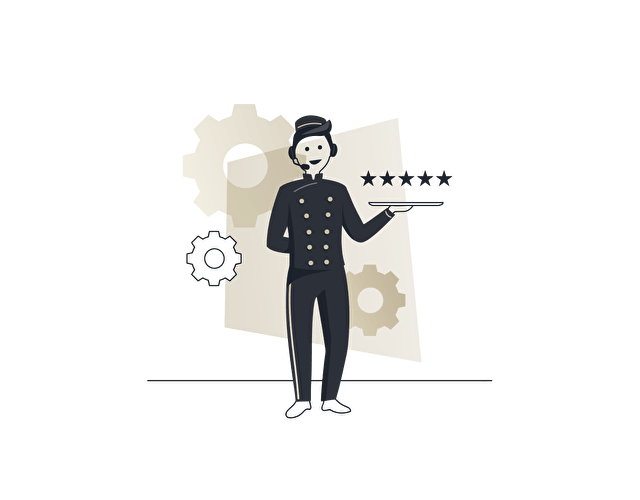 Maximum uptime (the time that your website is accessible) and a fast server, are tremendously important for the success of your hotel’s website. Which is why Porter takes care of the hosting on its own advanced servers. 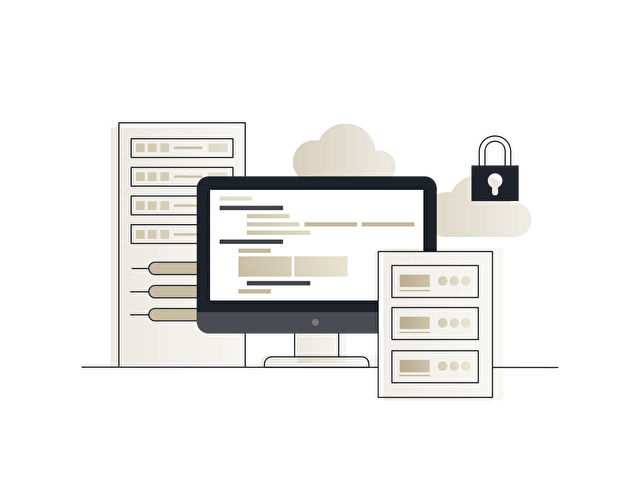 A secure (SSL) connection is included and of course, we take care of all necessary software and security updates where our server's software is concerned. This guarantees safety, speed and maximum uptime. We are here to stand by, as well as assist you after the launch of the website. Don’t hesitate to contact us with any website related questions. This is part of our service component so we would never charge any additional or unexpected costs for this. 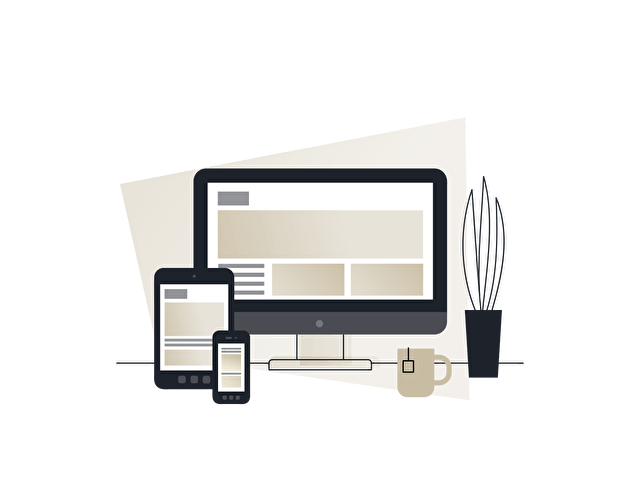 As a Porter client, you will receive a monthly website performance report. 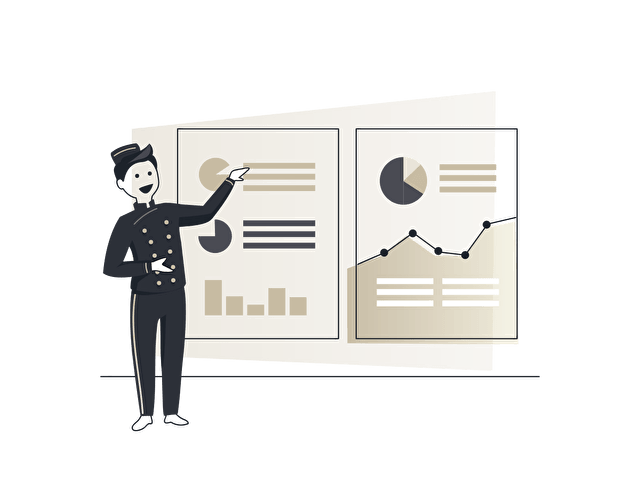 With these reports, you will have a clear overview of the main KPIs of your website’s performance in the blink of an eye. If you have any questions about the reports, you can always reach out to one of our online marketeers. This is all part of the service component, so no additional costs are involved.